The mechanism of the primary ammonium/tertiary amine-mediated ring-opening polymerization of γ-benzyl-l-glutamate N-carboxyanhydride (BlG-NCA) was investigated. Kinetic analyses revealed that the normal amine mechanism (NAM) together with a dormant-active chain end equilibrium were responsible for the controlled nature of this polymerization pathway, but that the polymerization also proceeded via the activated monomer mechanism (AMM). Mixtures of primary amines (1 equiv) and tertiary amines (0-1.5 equiv) were therefore tested to confirm the co-existence of the NAM and AMM and determine the limits for a controlled polymerization. 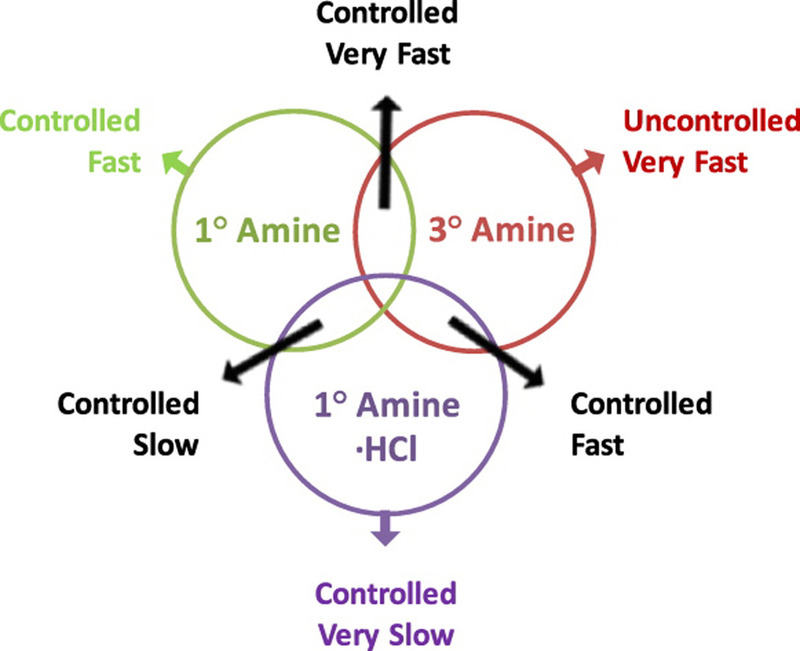 For tertiary amine molar fractions smaller than 0.8 equiv, the reaction times were greatly reduced (compared to primary amine-initiated polymerization) without compromising the control of the reaction. Hence, the polymerization of NCA can proceed in a controlled manner even when the AMM contributes to the overall chain growth mechanism.